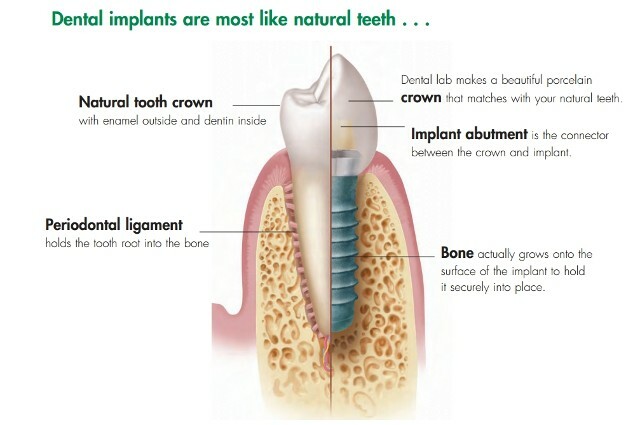 Here at John L. Gravitte, D.D.S., P.A., we are proud to offer dental implants to our patients as one of the most advanced services in the dental field. Our doctors have familiarized themselves with the implant process through continuing education courses and seminars to ensure they are providing you with the most up-to-date and efficient care possible. Implants are a safe, permanent way to replace a single tooth or multiple teeth without the temporary and removable aspect of dentures. Though dentures are highly effective, implants are an innovative way to completely replace a tooth that has been damaged or removed. With the addition of Cone Beam Radiography, implants are a safe and highly achievable option for single or multiple tooth replacement.